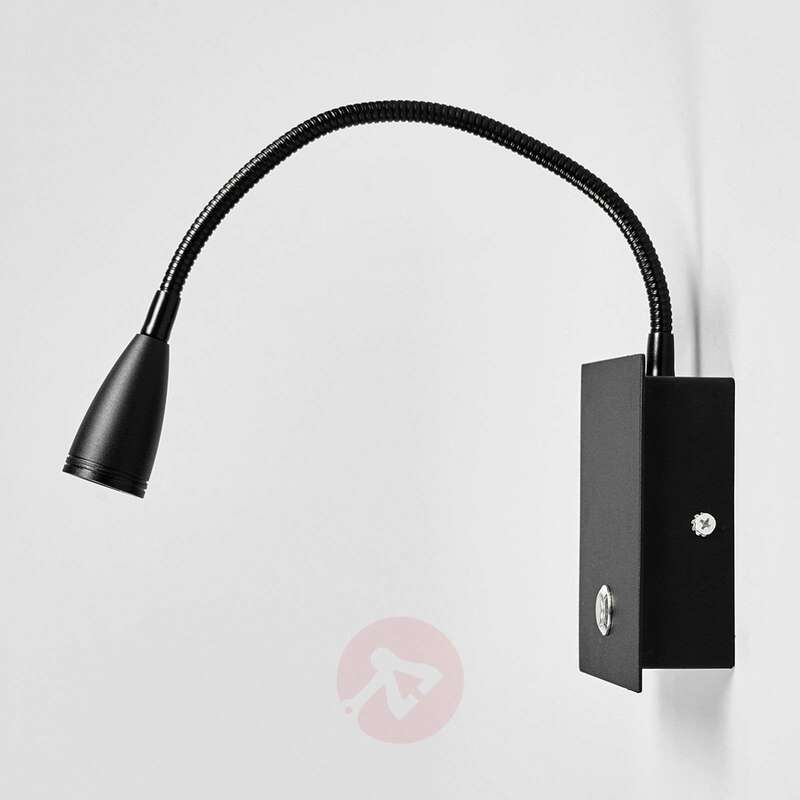 A flexible arm with a goose neck is the special feature of the LED wall lamp Torin, which has an elegant look due to its black metal finish. 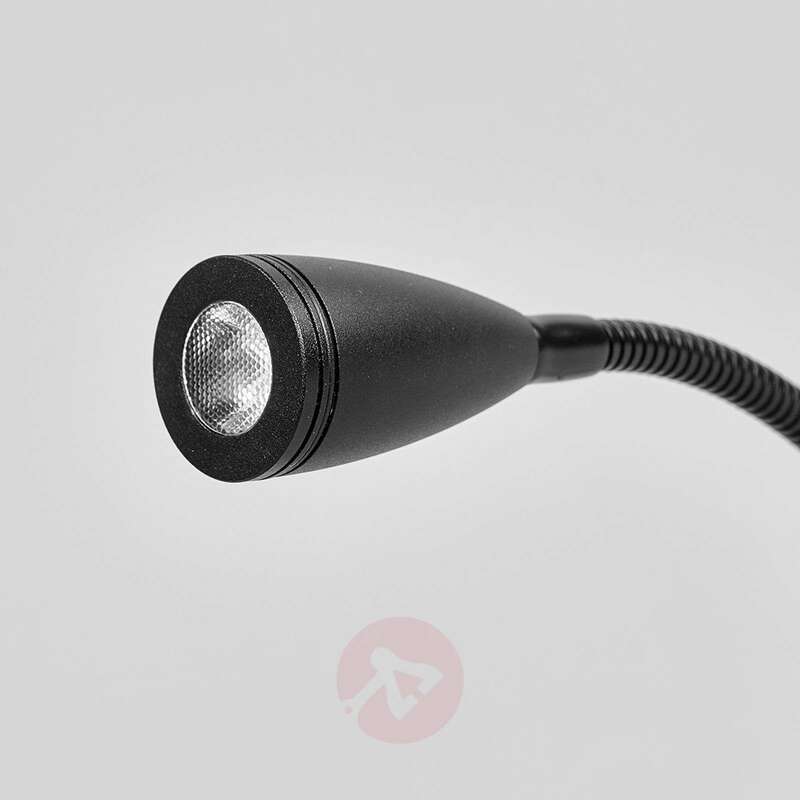 The flexible arm allows arbitrary positioning of the lamp head, and both direct and indirect light emissions are possible. 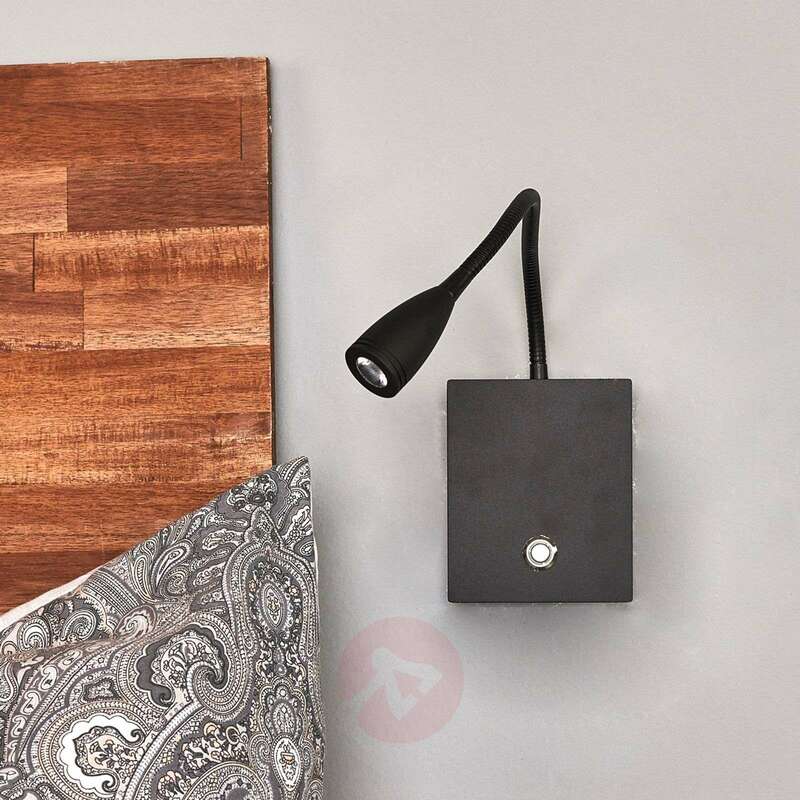 To be able to vary the brightness, Torin is equipped with a dimmer, which is located on the frame of the wall lamp and can also be used as an on/off switch. What else could such a light be better suited for than being mounted as a reading light? 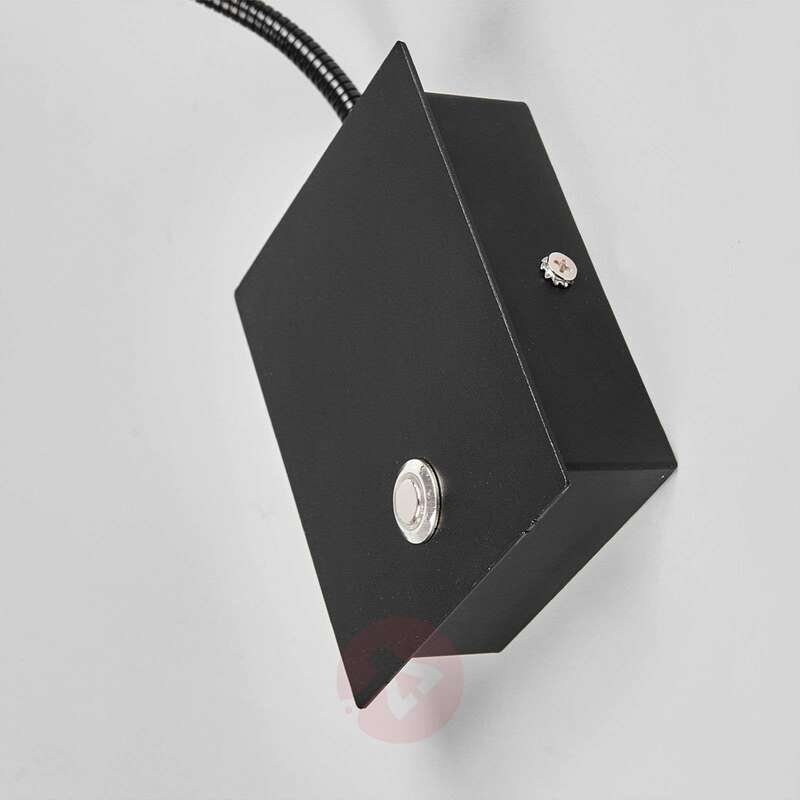 That is the ideal use for Torin, which can be mounted not only next to the bed, but also behind the sofa, where it relieves the eyes by providing sufficient light for reading or handwork. Does this plug in or does it need to be wired in? Thank you for your query. 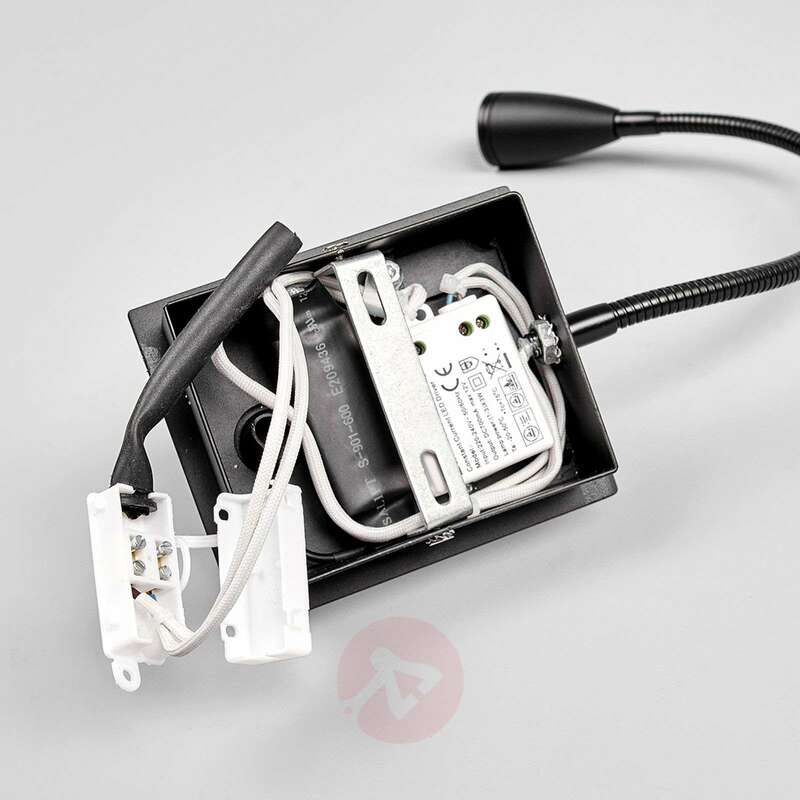 This light needs to be wired into the mains and does not have a lead cable with a plug. Excellent product. 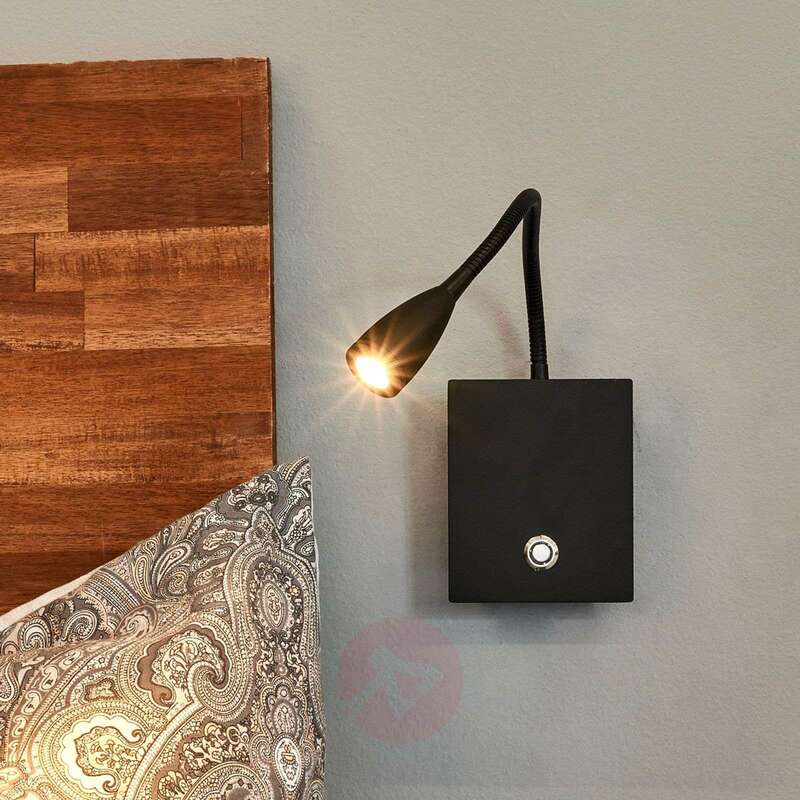 We had looked all over for a sleek wall-hung lamp until we finally stumbled across this. It was shipped out almost immediately, and it took me a very little while to get them to Malta. Service - fantastic and even customer care queries are dealt with, superbly. Big thumbs up and keep it up!